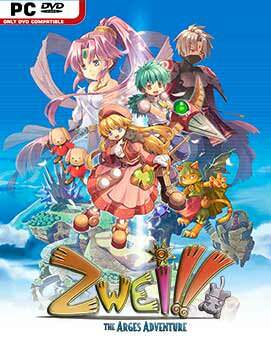 Released in Japan simply as Zwei! !, Zwei: The Arges Adventure is the direct predecessor to the previously released Nihon Falcom action RPG Zwei: The Ilvard Insurrection, from the creators of the popular Ys and The Legend of Heroes franchises. 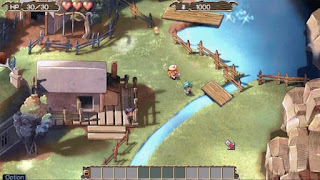 Boasting a completely standalone story set on a mysterious “low fantasy” island floating amongst the clouds, Zwei: The Arges Adventure plays out as a classically styled action-oriented 2D dungeon crawler with oodles of optional content and unlockables, player-defined challenge through a unique food-based experience system, and a pervading tongue-in-cheek humor style that helps set it apart from other entries in the genre. Although released on several different platforms in Japan over the years, this is the first time it’s ever been officially released in English, and is the most feature-complete version of the game to date. So what are you waiting for? There’s no need to ask Zwei; you Arges gonna have to play this game right now! Play an Ys-inspired typing tutor, an adorable yet savage aeroplane shmup, or a block puzzler that rewards you for not making combos – or maybe just take the time to help guide your pet through the harsh wilderness for various spoils! If that’s not enough, why not try for one of the myriad new achievements, seek out one of the newly illustrated character bromides, or switch out the regular soundtrack for its 2008 arranged version? You can even play the game with Japanese text if you want! Add to that a bevy of control improvements and other modernizations, and you have the ultimate update to this unsung Falcom classic!